Last month we were treated to a luxury stay at The Principal Hotel York, as you may have read here. Having been impressed with the beautiful character and charm of both the hotel and our room, the Royal Suite, we couldn’t wait for our dinner reservation in the Refectory Kitchen & Terrace located within the hotel. With a focus on traditional, British classics the Refectory uses some of the finest and freshest ingredients Yorkshire has to offer; from Yorkshire ale cottage pie to Yorkshire Parkin (a deliciously sticky ginger cake served with Yorkshire beer glaze). 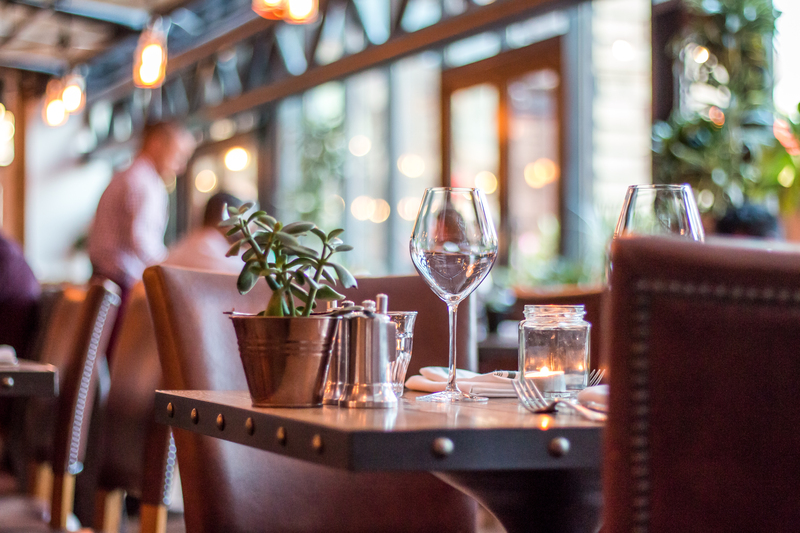 The Refectory restaurant is located on the ground floor of the hotel with floor to ceiling windows running along one side making it bright and light. Filament light bulbs hang down from above producing a gorgeous, golden ambient glow and a sense of warmth, while potted plants bring a bit of the outdoors in adding statement decoration. Whilst dining at the restaurant we had a lovely waitress who was very friendly and helpful to suggest her favourite dishes. We started with warm sourdough bread with Netherend Farm butter alongside pork scratchings with apple purée. Nothing beats warm, fresh bread! The dinner menu left us spoilt for choice with such a wide range of delicious, hearty foods on offer, all of which sounded amazing. In the end, we came to settle on our choices whilst sipping on a refreshing Tom Collins cocktail. For starters Pete chose sticky pig’s cheek, potato dumplings and a red wine sauce, whilst I had potted duck with pistachio, pink peppercorns and sourdough. Each of the dishes were beautifully presented with great attention to detail. The ingredients were fresh and fragrant and complimented each other really well. The main course consisted of classic favourites, steak and lamb, which we enjoyed alongside a bottle of red. 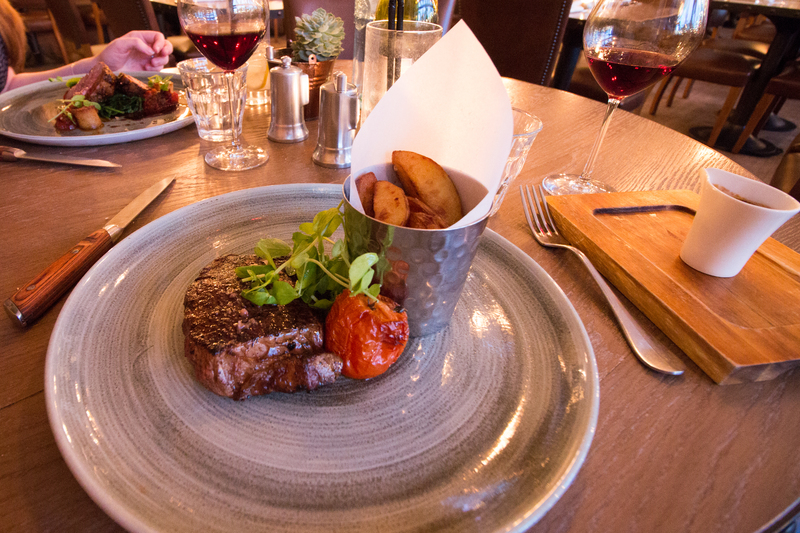 Pete chose the rump steak, which the Refectory source from R&J Waterford Farm. The farm specialises in Limousin and Charolais breeds renowned for their generous muscle-to-bone ratio, as well as their richly marbled meat. The steak was served with triple cooked chips, roasted plum tomato, Portobello mushroom with a choice of sauces: peppercorn/ red wine/ béarnaise. For me, I’m often all about the potato accompaniment, so when I spied spiced Yorkshire lamb rump, sweet and sour relish, capers, potato fondant and red wine sauce, my eyes lit up. 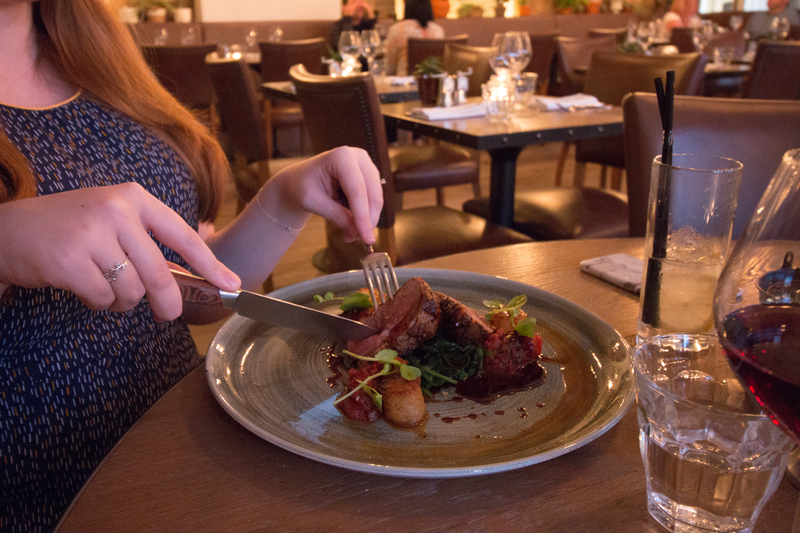 Fondant potato and lamb on the same dish… divine! At the end of a glorious meal, who can say no to dessert? Again, almost spoilt for choice we picked our puds as the sun went down over the restaurant; Pete enjoying warm polenta and Yorkshire honey cake, honeycomb, lemon and crème fraîche, while I chose the deliciously rich chocolate and cherry tart with hazelnuts and clotted cream. Feeling full and satisfied, we went on to enjoy a drink in the Chapter House Bar, also situated within The Principal hotel. 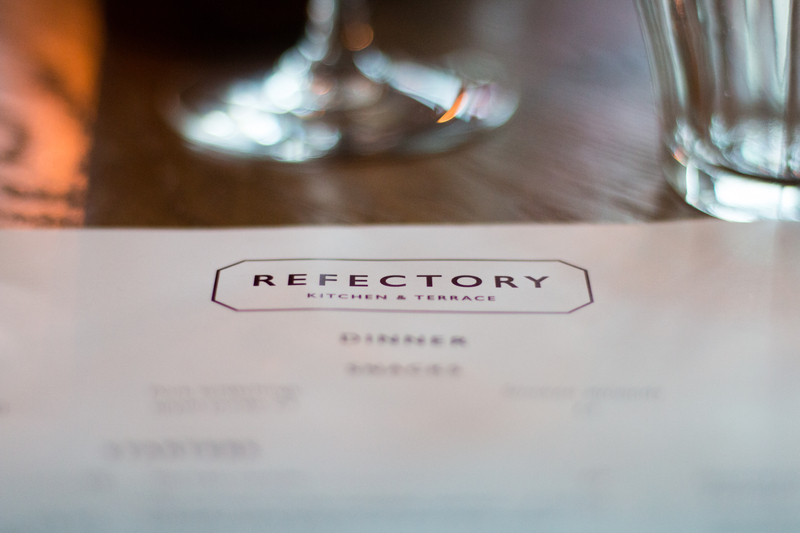 We could not fault our experience at The Refectory Kitchen restaurant. 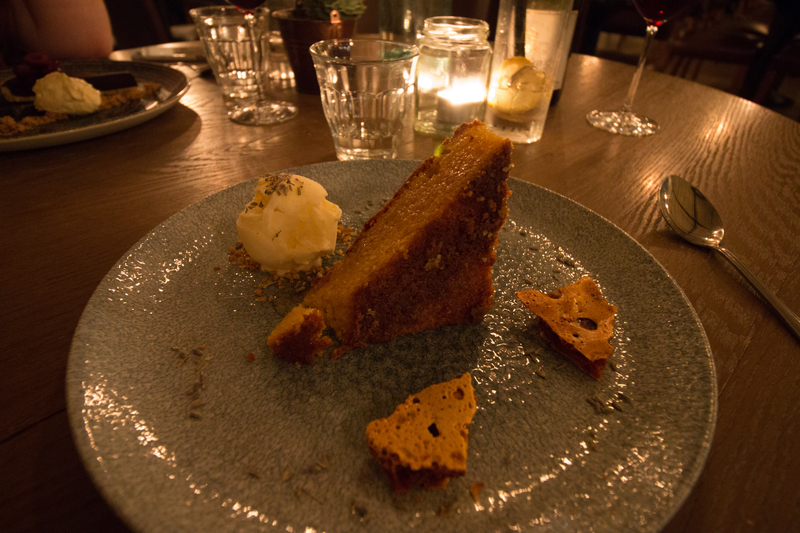 The food was flavoursome, filling and looked amazing, the drinks were great, and our service was fantastic. If you’re ever in York, I would really recommend booking in a meal at The Refectory, or better still, a stay at The Principal with dinner! You won’t be disappointed. 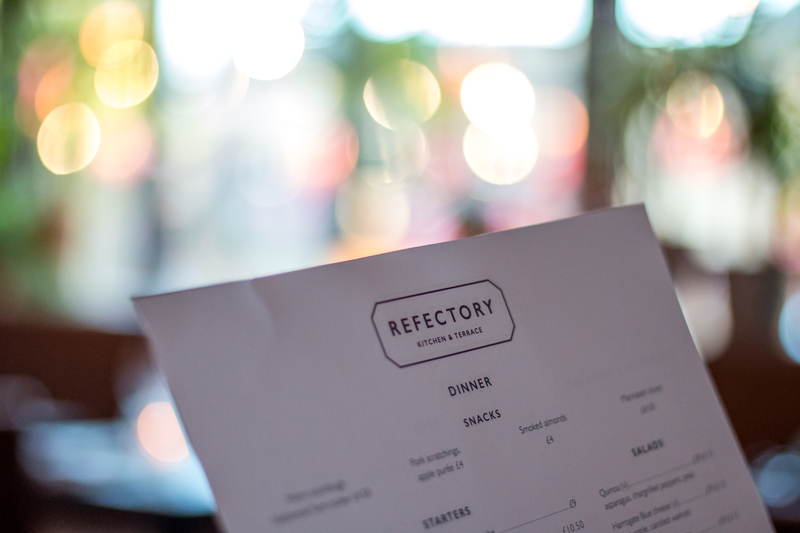 Our meal at The Refectory Kitchen restaurant was kindly provided on a complimentary basis from The Principal Hotel. All opinions and images are my own.